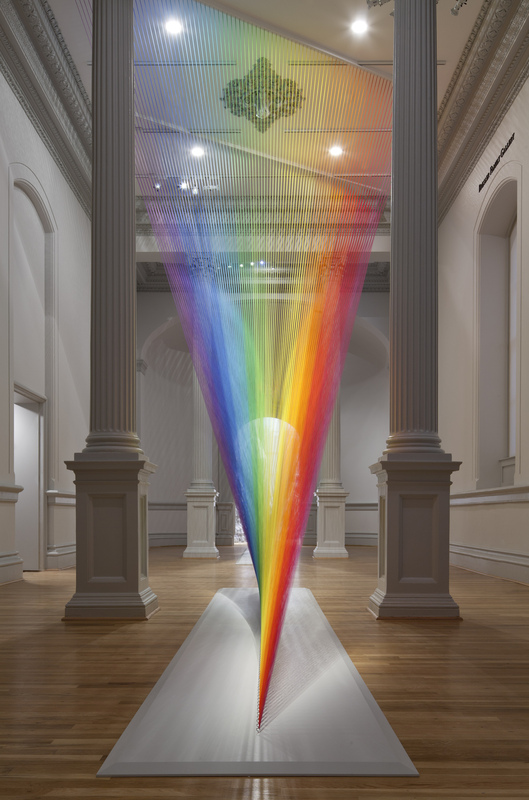 Gabriel Dawe (born 1973) is a Mexican-born artist living in Dallas, Texas whose work is based on investigations of the visible spectrum of light. 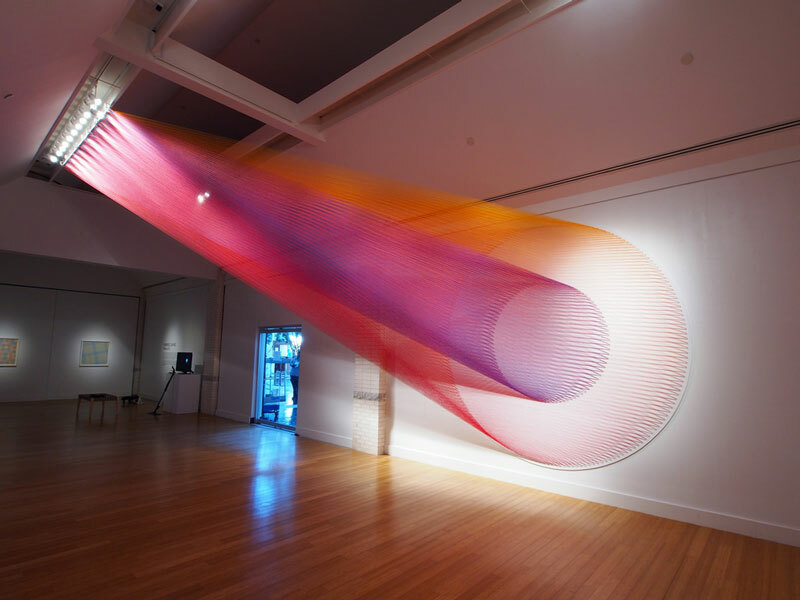 He has gained renown for his large-scale Plexus series of installations of sewing thread, though he also creates works on paper as well as other media. 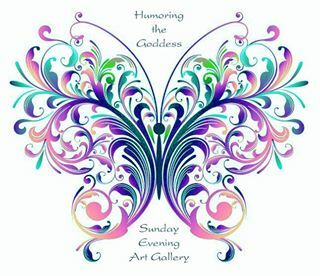 In search for creative freedom he started experimenting and creating artwork, which eventually led him to explore textiles and embroidery — activities traditionally associated with women and which were forbidden for a boy growing up in Mexico. Because of this, his work is subversive of notions of masculinity and machismo that are so ingrained in his culture. 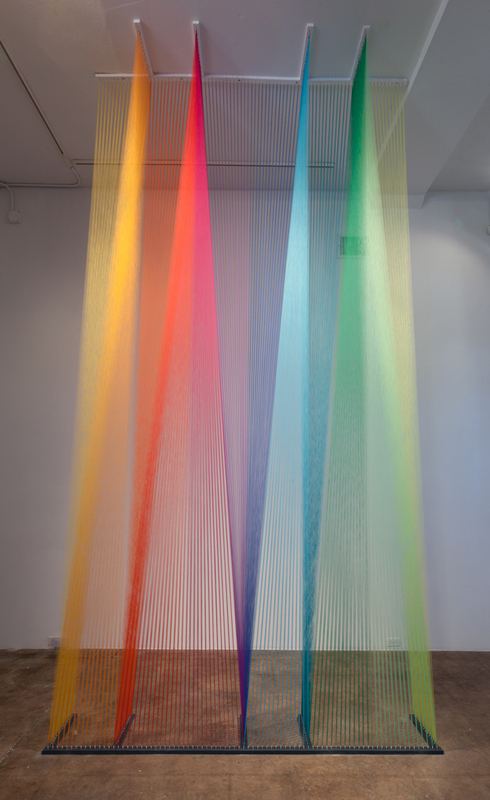 By working with thread and textiles, Dawe’s work has evolved into creating large-scale installations with thread, creating environments that deal with notions of social constructions and their relation to evolutionary theory and the self-organizing force of nature. 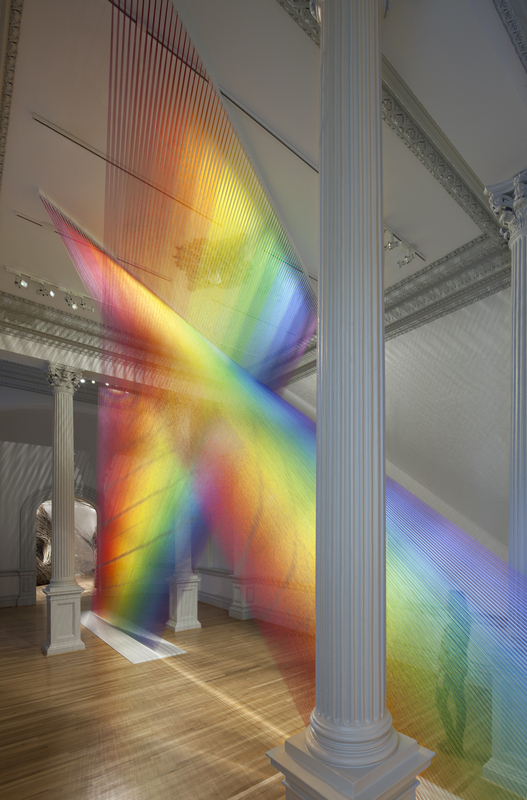 More of Gabriel Dawe’s amazing thread/string work can be found at http://www.gabrieldawe.com/. Wow, you’d think as a textile aficionado I would already have known about him, but I didn’t! 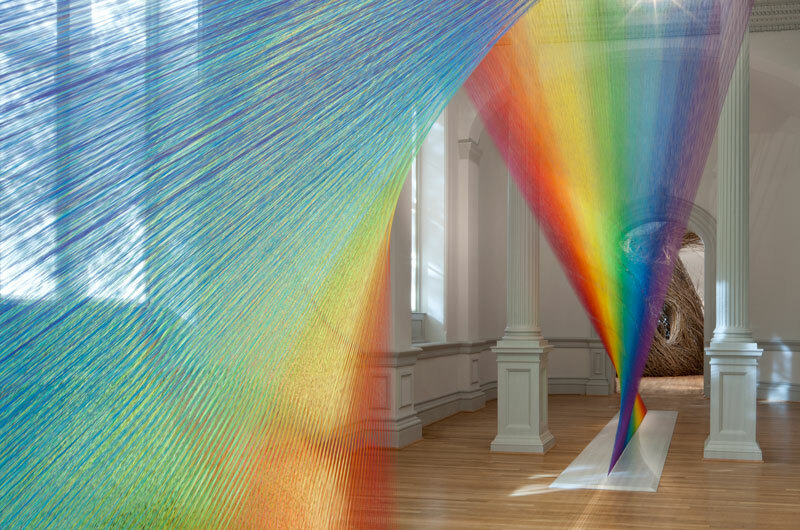 Looking at these pictures reminded me of a similar work I saw at Crystal Bridges Museum in Bentonville, Arkansas, in Aug. 2017 — and sure enough, it was by Dawes too! That one was in a stairwell and was very hard to photograph. I saw so much there that I got overwhelmed with editing my photos when I got home, and I overlooked his piece entirely. SO thank you for bringing him to my attention! I am so glad you have heard of his work! As I wander the Internet and find new artists, I am so excited to read everything about them. History, point of view, experience. I am learning so much with this art gallery thing. I am so glad you are enjoying this too! I would love to see these in person!